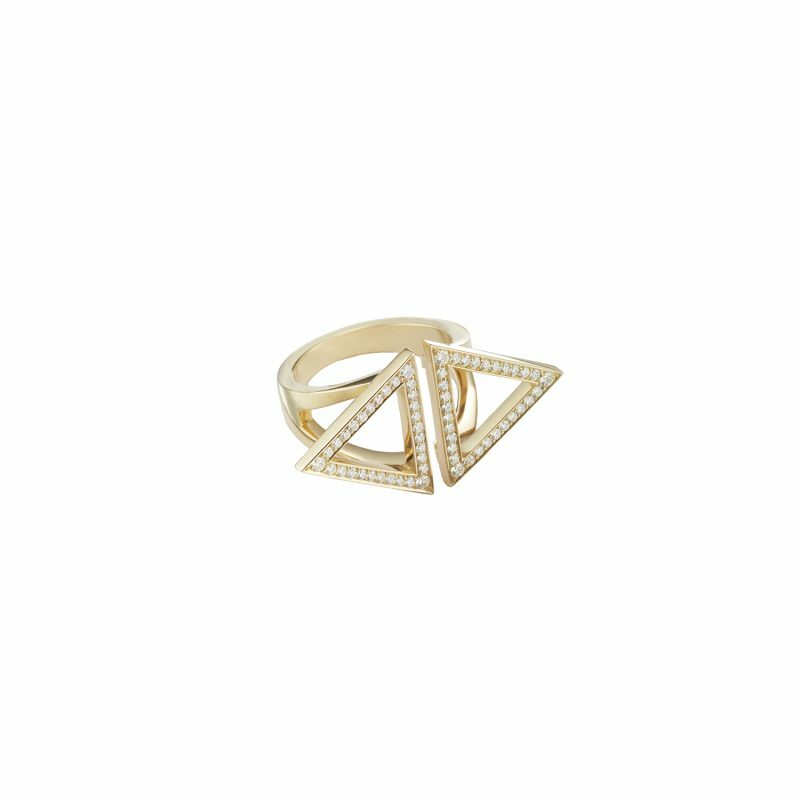 The Toi et Moi Ring is a symbol of positive change and unlimited creativity. Available in 18ct Yellow Gold with white diamonds. This iconic ring features two opposing triangle symbolizing the perfect harmony: his & hers, water & fire, Sun & Moon … Also available in Rose Gold and White Gold. Part of a unique collection of contemporary fine jewellery for the modern woman by Sandrine de Laage. Sandrine de Laage is a French-American Jewellery designer and Creative Director who has a wealth of experience working with iconic brands: Cartier, Harry Winston and De Beers. Having recently launched her own brand, Sandrine’s exquisite jewellery pieces exude contemporary sophistication, timeless elegance and impeccable taste. Sandrine has recently partnered with New York’s Women In Need (WIN) charity helping homeless women and their children transform their lives. A certificate of donation to Win accompanies each piece of jewelry by Sandrine de Laage.